Happy New Year friend! As we welcome 2016 and look forward to the year ahead, I thought it might be fun to take a look back at some of my most popular projects from 2015. If I had to sum up my year in a word, it would be busy. 2015 literally flew by and I feel as though I was swept along for the ride during most of it! Was your year like that too? Looking back, I see just how productive a year it was. 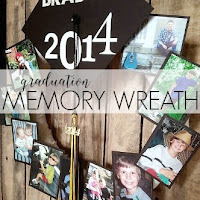 A couple room makeovers, a bunch of craft projects, several painted furniture projects...at least I have something to show for the whirlwind that was 2015! The following are the 5 projects that received the most views from this past year. Enjoy the look back and please click on the links to read all the details of each project. 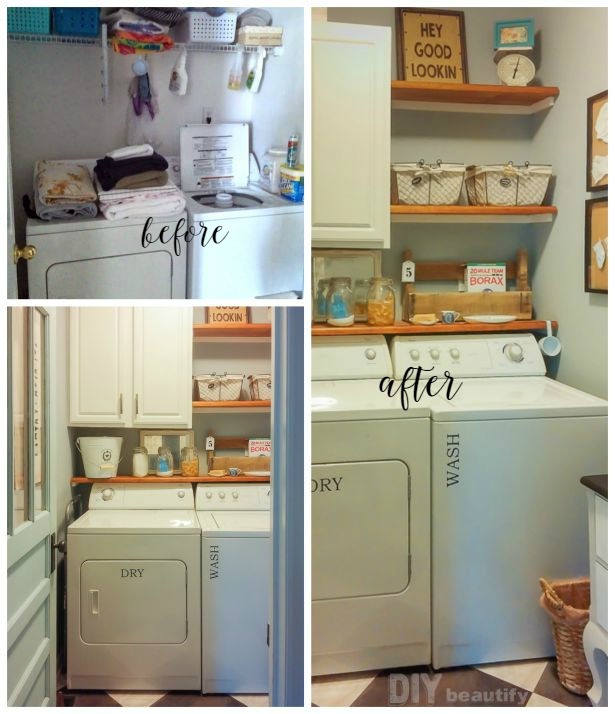 Perhaps my favorite project of the year was our laundry room makeover. 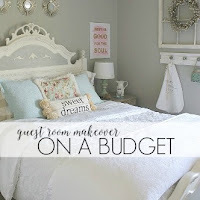 We achieved this makeover on a budget...a serious one...like under $200! We turned a cramped, messy, bland and dysfunctional room into one full of farmhouse charm and character, including storage and a fabulous antique door. With some thrifty shopping and a healthy dose of creativity, this room got a whole new look and a whole lotta function. You can read more and find all my money saving ideas, like how we got a new tile floor for less than $70, how we achieved great storage with our 'custom' cabinet and DIY shelving idea, a quirky repurposed dresser to store seasonal items (that fit in the space), and my DIY handpainted laundry definition sign that cost me nothing, as well as my unique idea for covering an unsightly electrical box. When we turned an unused bedroom into a guest retreat in the spring, we were fortunate to have a queen sized bed ready to use. I had saved the bed when we upgraded to a king because I loved the shape and knew I wanted to use it again someday. The problem was, the honey oak was outdated and definitely wouldn't work in the beach-y bedroom I had envisioned. After replacing the wood decals with new ones, I painted the oak bed gray and white, giving it a French Country feel...goodbye early 90's! Which leads us to the full reveal of our guest room makeover, a room that is so cozy, comfy and sweet that I'm tempted to move in full time! This makeover included several DIY projects, including an easy driftwood finish for furniture, as well as creating a unique peg hook from some pieces of molding and antique glass door knobs. I was surprised how many of you pinned and visited this post. 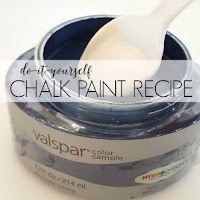 You are really interested in saving money on chalk paint! 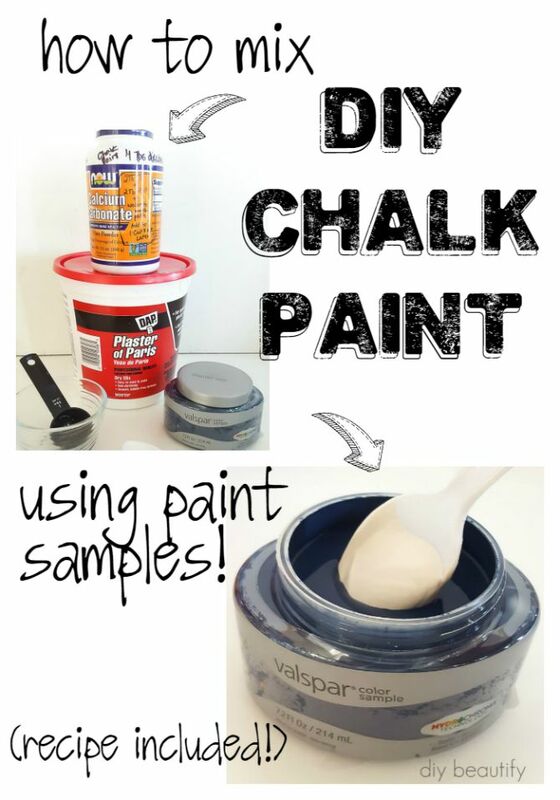 I shared how to turn a sample pot of store paint into DIY chalk paint, and you loved it. 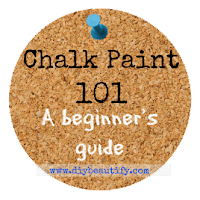 I can understand why because it's a thrifty way to create your own chalk paint in any color you want! 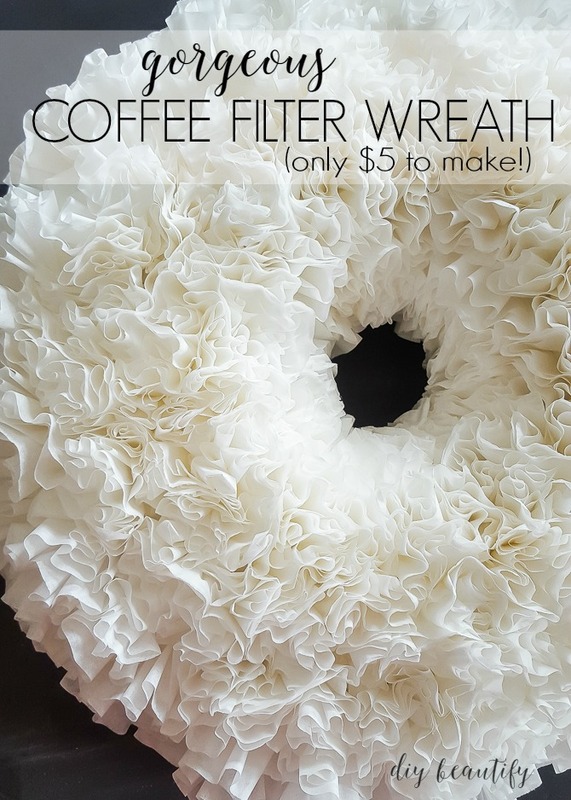 And finally, I shared how to make a beautiful, winter white wreath using coffee filters for about $5. 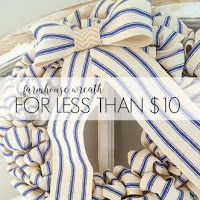 While this wreath made a perfect introduction to my white and red Christmas decor, it's a beautiful wreath that can really stay up all year long. Looking at the year ahead, I have a feeling it's going to be a busy one too! I've been working on my home office and will be sharing that makeover as well as the projects involved...I'm still hoping we'll get to make some changes to our kitchen this year, and the garage has slowly been filling up with furniture that I'll be painting and selling. 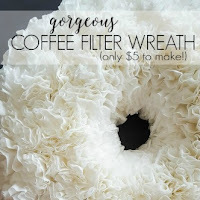 So if you haven't yet subscribed, I'd love to have you join me on this DIY journey. 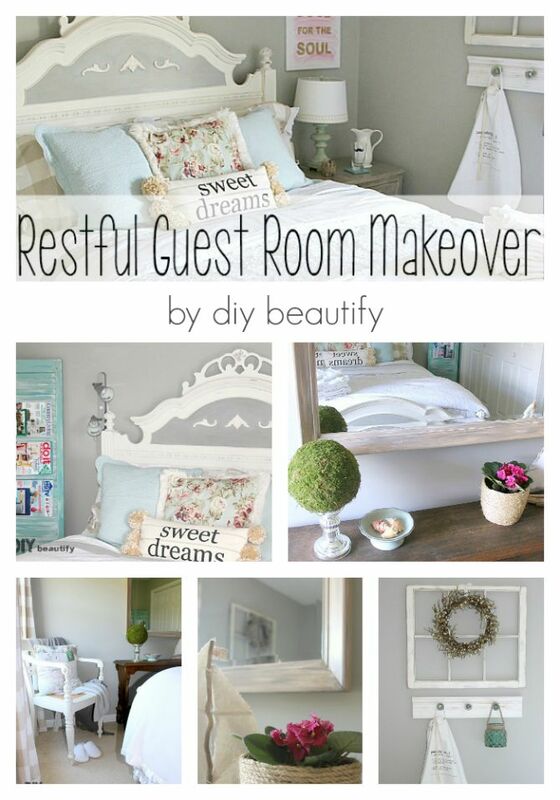 I love sharing thrifty tips for beautifying your home on a budget and making it personal at the same time. To subscribe, click on the blue box below or click here. All beautiful projects Cindy. What a beautiful 2015! I'm delighted to be featuring your post at Shabbilicious Friday tomorrow. Thank you Kerryanne, I'm delighted to be featured! All of these posts are really beautiful and inspiring! 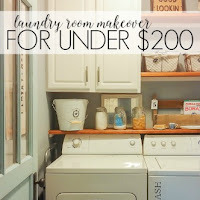 I especially love the Laundry Room Makeover! My laundry room is begging for some help. Thanks for sharing! Thank you so much Crystal, I hope you got some ideas you can use in your own laundry room! New to your blog; caught up with you through Shabby Art Boutique. Your laundry room reminded me of the one my husband and I completed a while back. I enjoyed seeing your round up and will be back to see what you're up to next! Thank you, I'm so happy to have you! 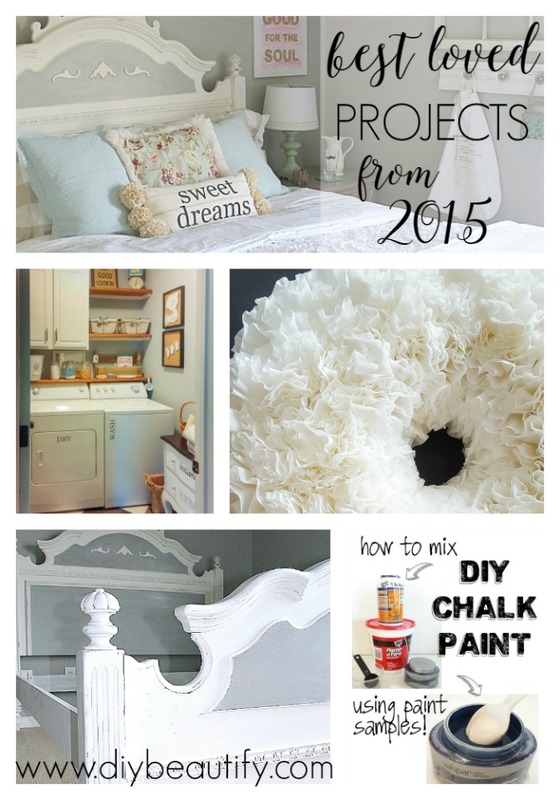 Cindy you had some amazing projects in 2015! I know you'll have even more fabulous ideas to share in 2016! 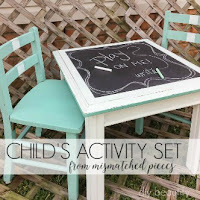 Thanks for sharing this post with us at The DIY Collective!